Transport is the only sector in Europe which has failed to decrease its greenhouse gas emissions during the last two decades. However, rail is the only mode of transport which has reduced its emissions while increasing passenger and freight volumes. This was the message of European Railway and Infrastructure Companies (CER), which organised the roundtable discussing Rail – Europe’s climate solution? on Wednesday 10 October. Rail is the most carbon-efficient motorised way to travel: CO2 emissions from rail account for less than 3 per cent of CO2 emissions from transport although it carries 17 per cent of inland freight and 8 per cent of passengers in Europe, the organisation pointed out. And there are more of such facts. The railway sector is already beyond the EU’s 2030 renewable energy target for transport, with 20,7 per cent renewable energy in 2015. Four trains out of five are already running on electricity, which is becoming greener. 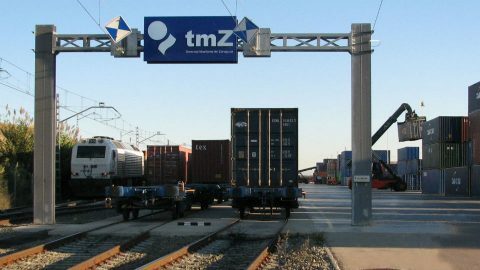 The sector has reduced total CO2 emissions from rail traction by 16.8 million tonnes in 2016 compared to 1990, almost the entire CO2 emissions of Croatia. With these facts policymakers should encourage the shift to rail, and level the competitive playing field through internalisation of external costs; starting with a balanced carbon pricing policy across all modes, CER believes. But in order to succeed there are several challenges ahead: we need to strengthen rail infrastructure in Europe and give more support to means of transport with low CO2 emissions. Europe must foster shifting traffic from road to rail, and the rail sector needs fair price structures”, added CER Vice-Chair and CEO of Austrian Federal Railways ÖBB Andreas Matthä. But also within the sector of rail works remains to be done to achieve climate-neutral mobility in Europe, the organisation stated. The sector has established its own sustainable mobility strategy with the aim of achieving 100 per cent zero-emission operations by 2050. To this end, the electrification of rail including cross-border missing links must be continued. As a major electricity consumer, the sector should actively demand green energy, according to CER.